This month, the Music Performance Trust Fund (MPTF) launches an uplifting documentary, Never Too Old. The film spotlights the experience live music performances create for performing musicians and their audiences as they come together at three senior centers located in New York City, New Orleans, and the Los Angeles area. 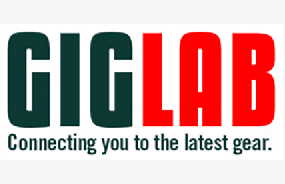 The official release of the film is March 19, 2019 in New York City and the first screening will be at VISIONS Center on Aging. 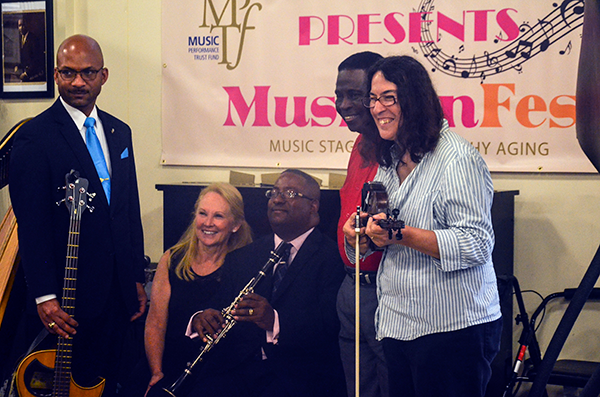 Professional musicians perform for older adults at Harmony House Senior Center in New Orleans as a part of the recording industry’s Music Performance Trust Fund MusicianFest series. (L to R) are: Kerry Lewis, Rachel Van Voorhees, Louis Ford, Al “Carnival Time” Johnson and Gina Forsyth, all members of Local 174-496 (New Orleans, LA). Harmony House evolved from an abandoned firehouse after Hurricane Katrina, and serves as a gathering place in the Treme section of New Orleans, where roots of the city’s music run deep. The 27-minute documentary highlights the Music Performance Trust Fund’s MusicianFest initiative to provide free musical performances at senior centers and assisted living facilities in the United States and Canada. Never Too Old explores the many paths that led these musicians, many who are seniors themselves, to perform for older audiences. Audience members share their impressions about what these live music performances mean to them and senior center professionals give their perspectives of the impact these small performances on the physical, mental, and social well-being of the individuals they serve. “The state has cut funding for our senior centers,” explains Harmony House Senior Center Executive Director Norman Smith. “For these individuals to want to take their time to want to come here; it’s important to us. It makes us feel that someone cares. And we care about them and they care about us. I think it’s a plus-plus for all of us.” Harmony House Senior Center in New Orleans, Louisiana, evolved from an abandoned, firehouse after Hurricane Katrina, to become a central gathering place in the city’s Treme section. Never Too Old is available in multiple lengths. In addition to the full 27-minute version, a 10-minute version provides the essence of these messages while focusing on the reach and goals of MusicianFest. 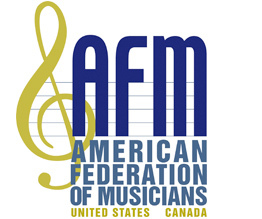 MPTF will provide an abridged version to AFM locals for use on their websites and in meetings in their communities. For more information on arranging for a film screening or MusicianFest performance in your community or your local, please call the MPTF 212-391-3950.